After almost 20 years in space, NASA’s Cassini spacecraft begins the final chapter of its remarkable story of exploration: its Grand Finale. Between April and September 2017, Cassini will undertake a daring set of orbits that is, in many ways, like a whole new mission. Following a final close flyby of Saturn’s moon Titan, Cassini will leap over the planet’s icy rings and begin a series of 22 weekly dives between the planet and the rings. 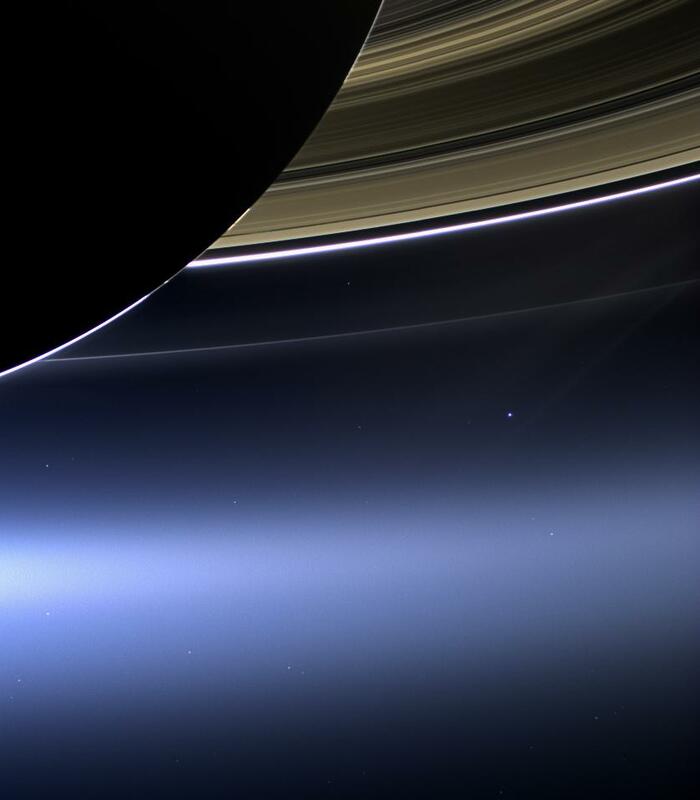 You better believe I’m adding this photo of earth from NASA’s Cassini spacecraft near Saturn to The Best Images Taken In Space. You can see more of NASA’s photos here and read about the mission here. Here’s NASA’s primary site for Cassini. Saturn spacecraft begins science swan-song is from Nature. The Grand Finale Toolkit is from NASA. CASSINI’S GRAND FINALE from Erik Wernquist on Vimeo. Mapping Saturn’s Moons is from The New York Times. Here’s another amazing interactive/video from The NY Times. Cassini Moves Inside Saturn’s Rings is a NY Times interactive. Cassini’s Images From Inside Saturn’s Rings is also from The Times. The ‘Sounds’ of Space as NASA’s Cassini Dives by Saturn is another piece from The Times. Cassini Saturnian exploration is from Al Jazeera. The Best of Cassini—13 Years in Orbit Around Saturn is a photo gallery from The Atlantic. Cassini’s Grand Tour is from National Geographic. NextMilestone: There Are Now 1,700 “Best” Lists!